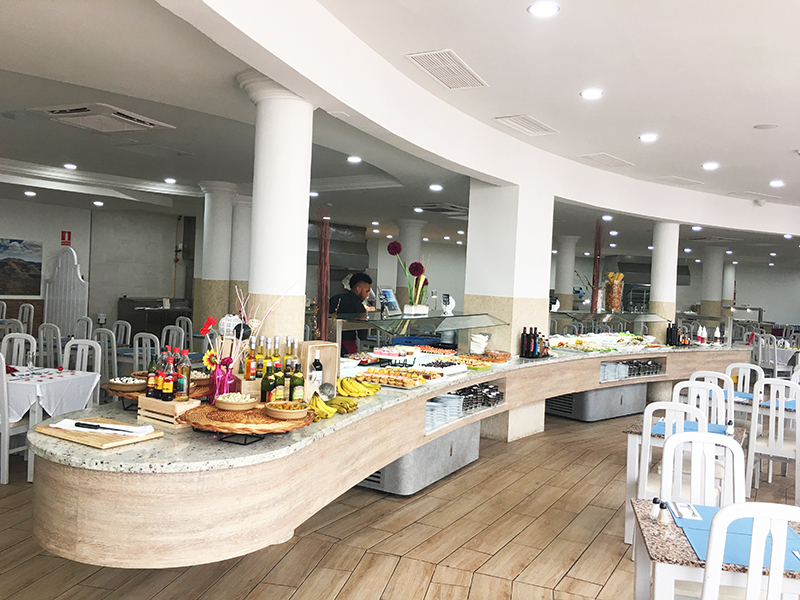 The HL Paradise Island Hotel, located in Lanzarote’s Playa Blanca, has recently renovated one of its three main restaurants. 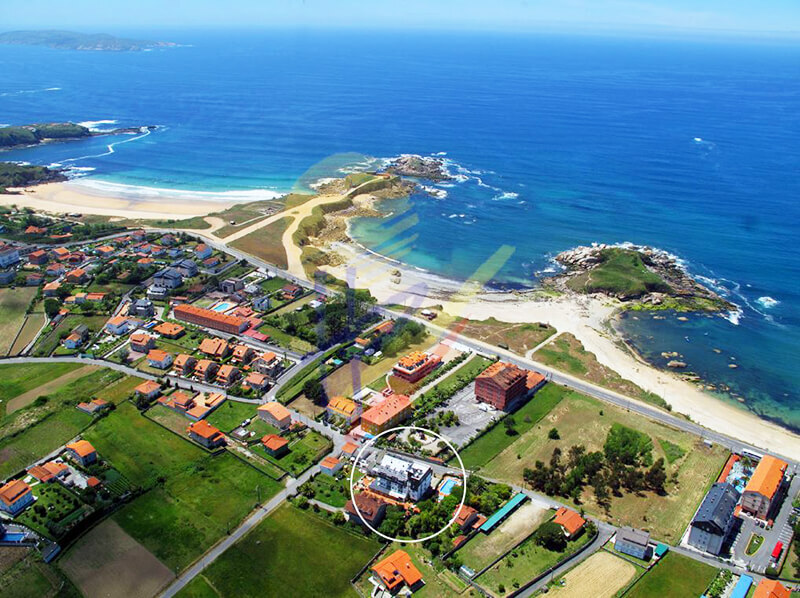 This charming hotel, with “All Inclusive” service has contacted for the remodeling with the experience of King’s Buffets, which for years specialized in this matter and even devised some specific buffets to give this service. The structure and the essence of the restaurant has been maintained but all the furniture has been completely modernized and the highest quality machinery and technology has been chosen. 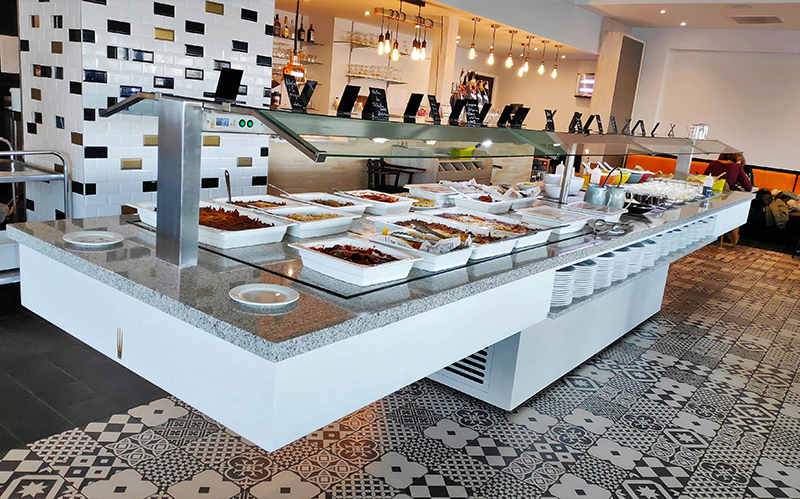 The base model chosen for the buffets was the FR Series, with elements for plates with greater capacity and supported on smaller legs to give more lightness and transparency. Starting from this model, the buffets and show cookings have been manufactured in a more personalized way and that is also the shape of them in curve. Do not forget that our structures are solid and 5 mm thick steel. The main buffet has been built between pillars with the same philosophy as the previous piece of furniture. 2 large specific showings: one for the specialty of meats and roasts, and the other for the Asian specialty, with large wok-type fires. 1 large central buffet for refreshments, appetizers and desserts. Being divided between the pillars, it creates an environment of independent islands. 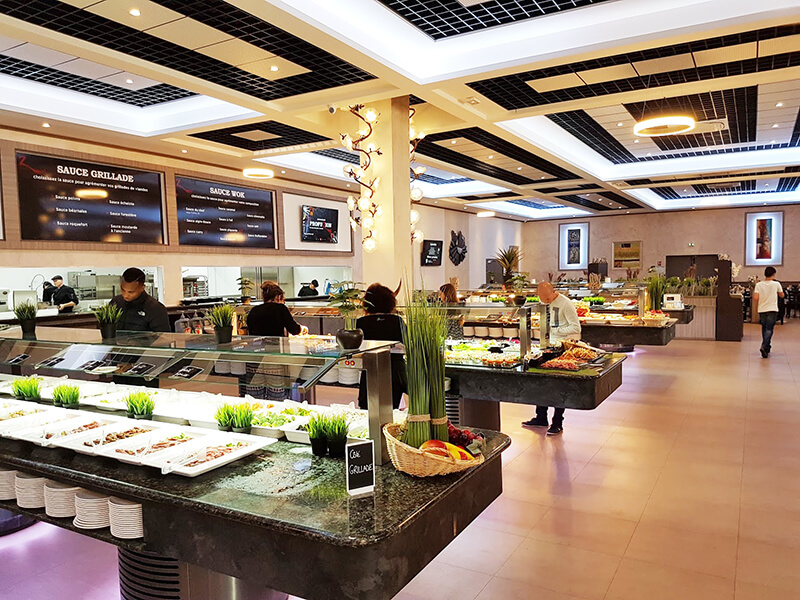 Undoubtedly, a complete installation of buffets and show cookings for a large Hotel that stands out for its gastronomic offer, varied and of maximum quality, always following the healthy line of the Mediterranean diet and the care and empowerment of the traditional cuisine of Lanzarote. We want to thank the Hoteles López chain, which currently has 8 hotels in Gran Canaria and Lanzarote, the trust placed in King’s Buffets for this great facility and we hope to continue working together for many years for their next projects.